My top tip for learning to crochet (or knit) is to find a simple project that you want to make and just have a go – you’ll be amazed at how quickly you pick up the stitches. Once you have completed your first few projects your confidence will grow and you’ll soon be searching the web for the fabulous free patterns that are out there. 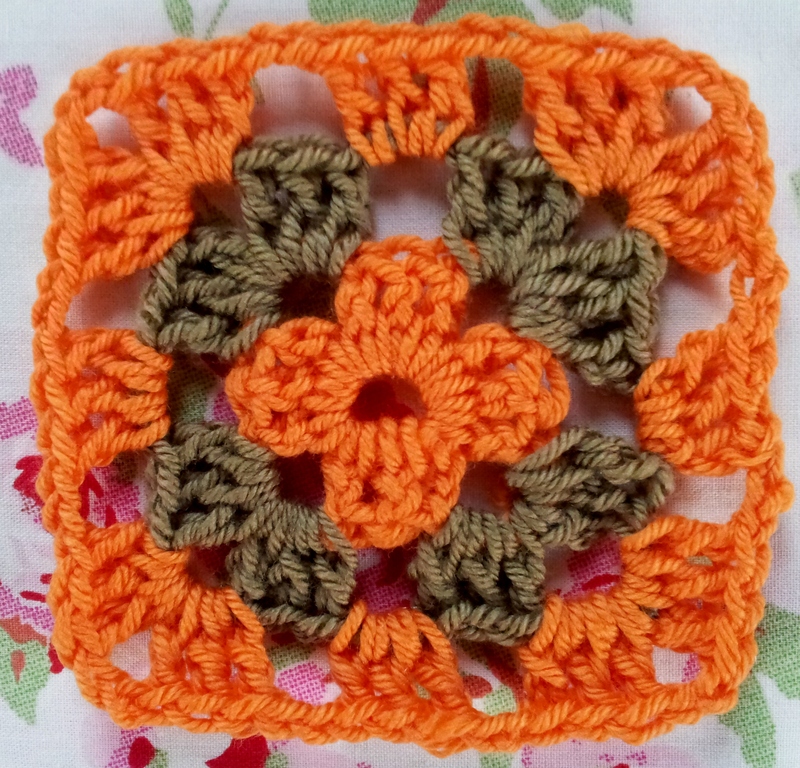 So, if you fancy a Granny Square for your first make, check out my granny square guide. You could either make any enormous one and use it for a blanket (or rug if you’re using fabric strips for yarn!) 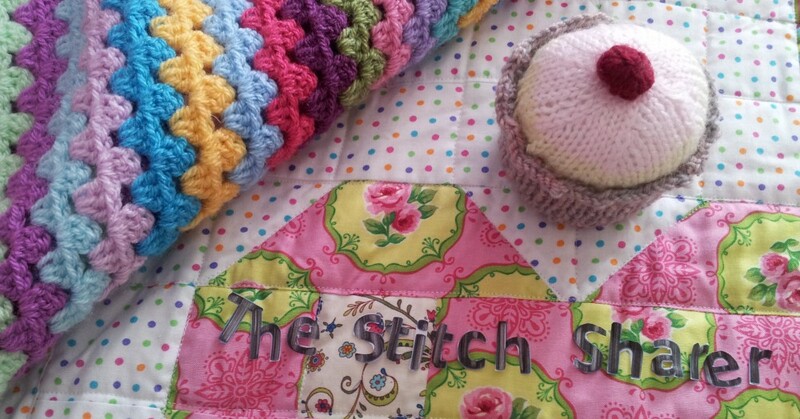 or make lots of ‘normal ones’ and sew them together for a blanket, headband, scarf of bag. 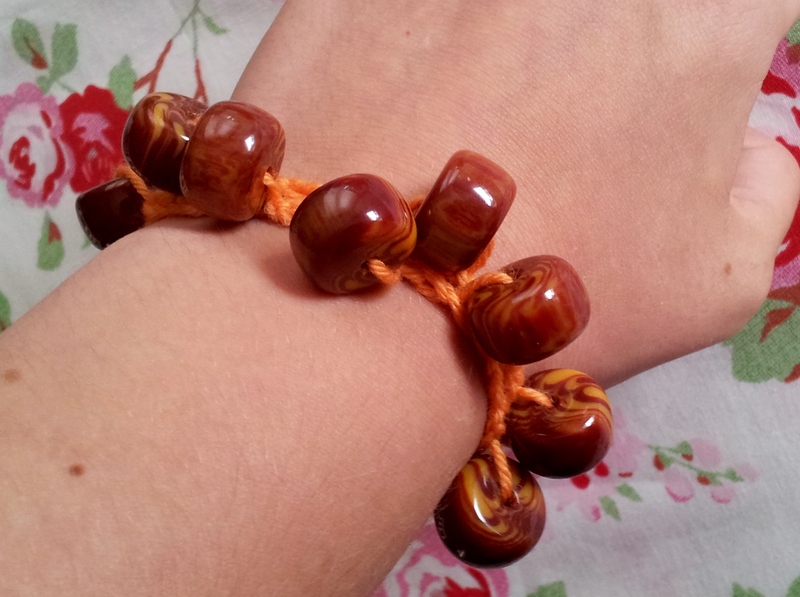 Another lovely first make is a chain stitch bracelet, necklace or belt. You could even use the technique you will find on my post to make some tie-backs for your curtains! How about a headband (with a simple flower) for those ‘bad hair’ days? 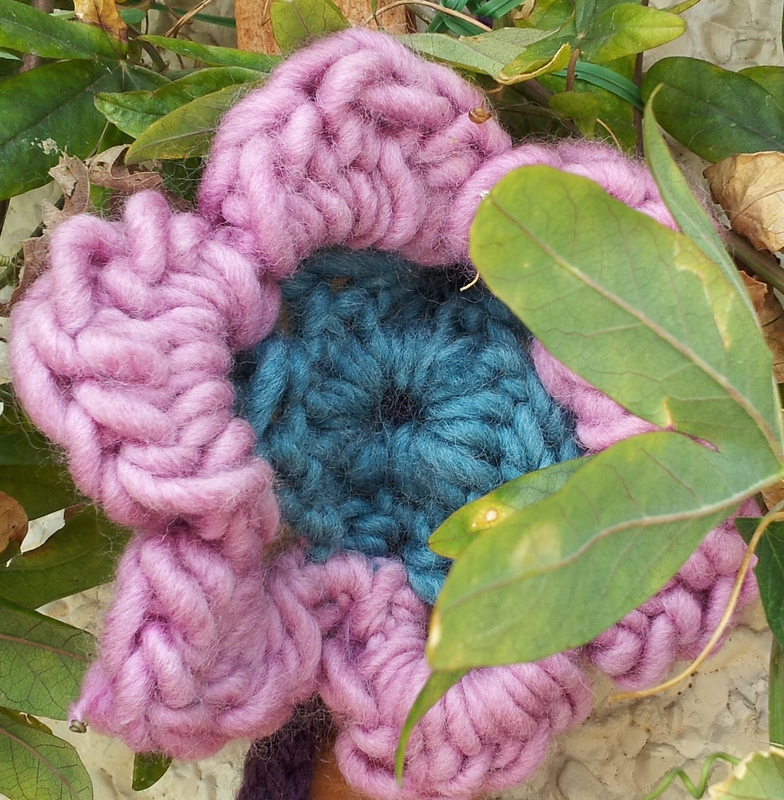 Or what about some more crochet flowers? I found a fantastic pattern on Lucy’s Attic 24 Blog – and loved it so much that I made a whole bunch and decorated the Passionflower climber in my front garden to have all year round flowers! 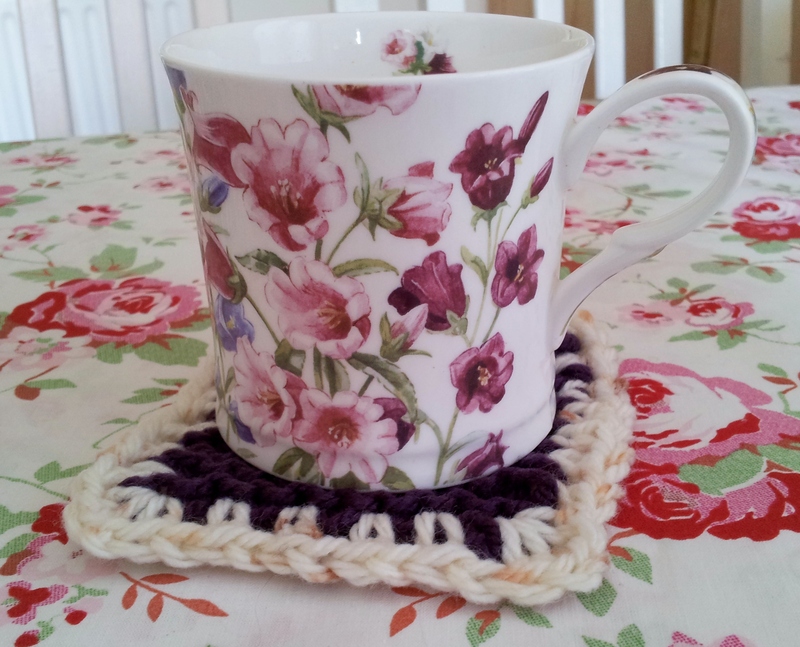 You might even want to try combining some knitting and crochet to make a coaster..remember that garter stitch sample? I’ve added a crochet border of a repeating 1 x UK treble (US double) and 1 chain around the sides and a 1 UK treble, 2 chain, 1 UK treble into each corner. Perfect for that cuppa when you want to sit back and admire your work! thanks for the lovely message about the crochet, really appreciation.